Equipped with the brand new calibre, the new TAG Heuer CARRERA Heuer 01 features new design and visual aesthetics. The new manufacture chronograph movement, symbolically christened Heuer 01 in honour of Edouard Heuer, represents the markedly horological development of the calibre 1887, on which the backbone of the new collection will be based. 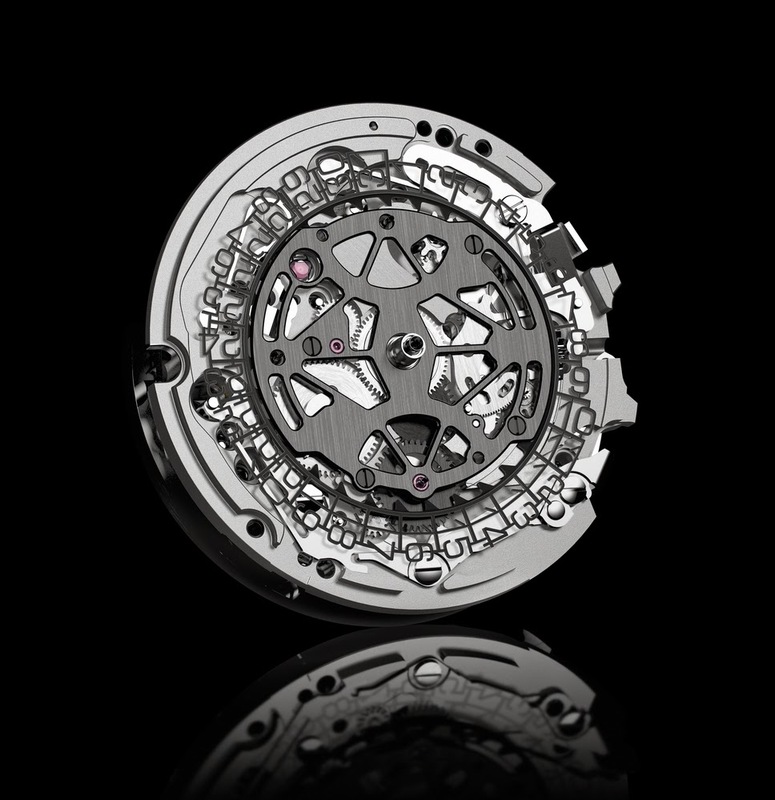 Its supremely clean new design reveals the chronograph controls and the openworked date disc on the dial side. 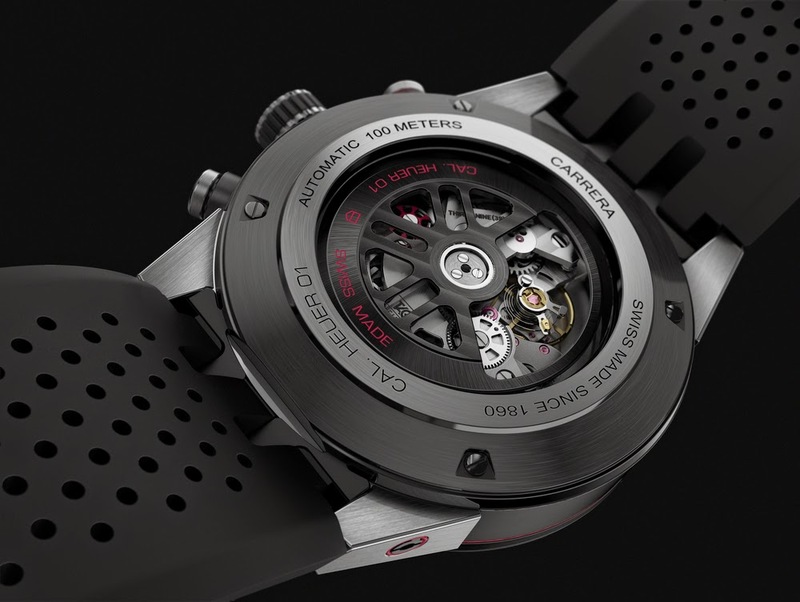 On the case-back, its red column wheel – a bold visual anchor – the skeleton chronograph bridge and the black weight also draw the eye into the mechanism. The subject of continuous improvement and optimisation over five years, it has attained a very high level of quality while its production costs have been carefully managed, making it the only 100% Manufacture Chronograph available for less than CHF 5000. 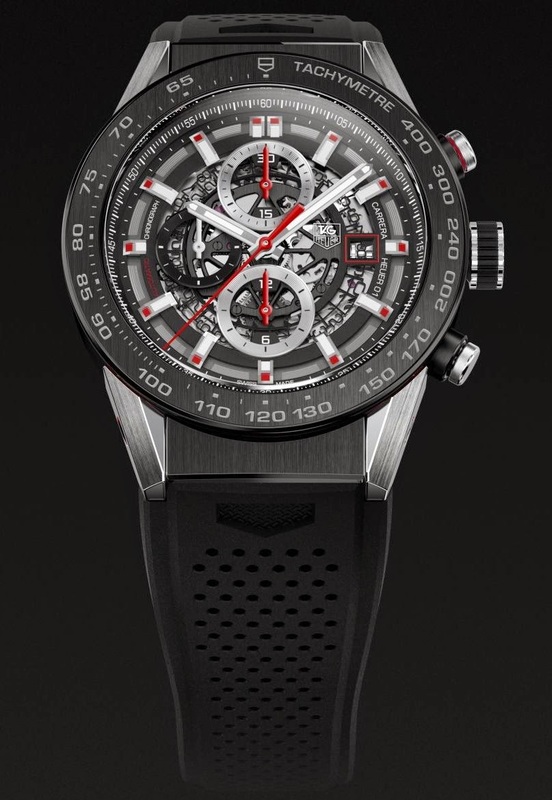 It features a new generation TAG Heuer case. 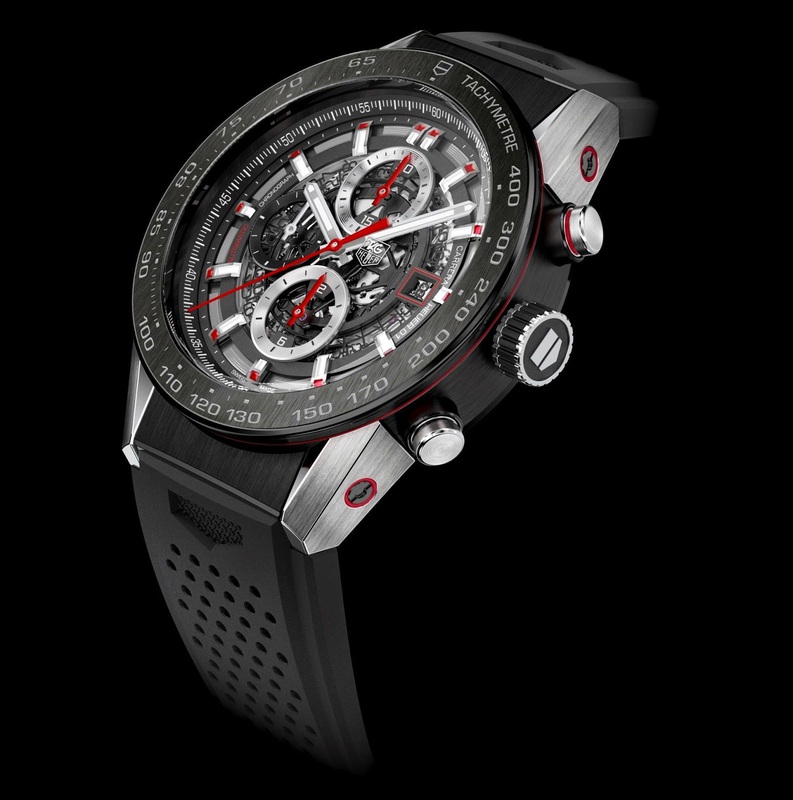 Made from light titanium for greater shock resistance, it is constructed differently, no longer the single piece traditionally used by TAG Heuer, but modular with 12 different components. This design opens up a huge range of possibilities, with an infinite combination of materials, colours, treatments and finishes. The piece is completed by a strap in perforated black rubber for a stylish, sporty look highly characteristic of TAG Heuer, yet with a renewed style thanks to its interplay of transparency and depth effects on both sides.